Study in Canada @ Cape Breton University. Apply now for May 2019 intake into Bachelor and Masters programs. Limited Scholarships available. Excellent visa success rate. Two years programs along with three years post study work. Contact us for more details. 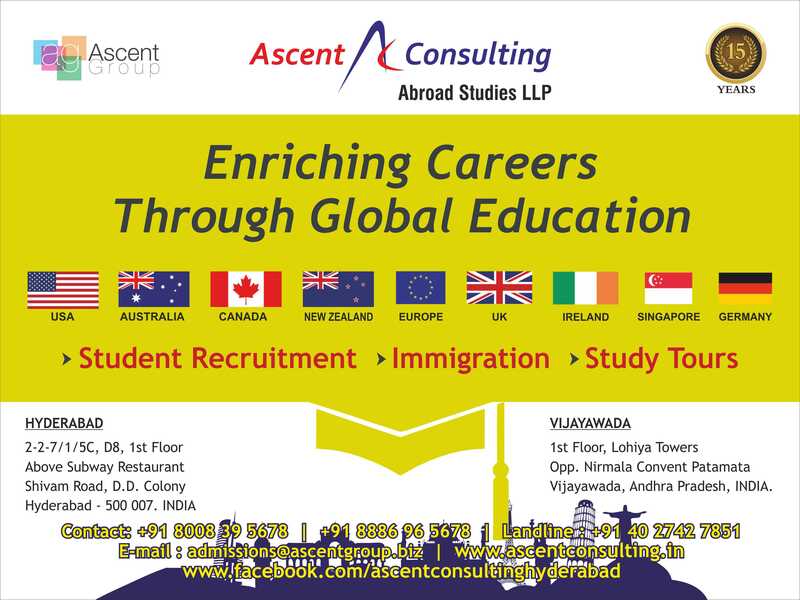 Spot assessment tomorrow @ Ascent Consulting Hyderabad. Study in Canada @ Cape Breton University. Apply now for May 2019 intake into Bachelor and Masters programs. Limited Scholarships available. Excellent visa success rate. Two years programs along with three years post study work. Contact us for more details.